The past couple of weeks have been interesting for the Colorado Avalanche, as they have signed two college prospects to entry-level contracts, Dominic Toninato and Alex Kerfoot. The Avalanche first announced Toninato, the former Minnesota-Duluth Bulldog captain, on Aug. 16. Toninato is a large center who plays a power forward type of game that can be compared to current Avalanche captain, Gabriel Landeskog. In his career with the Bulldogs, he accumulated 91 points over four seasons. 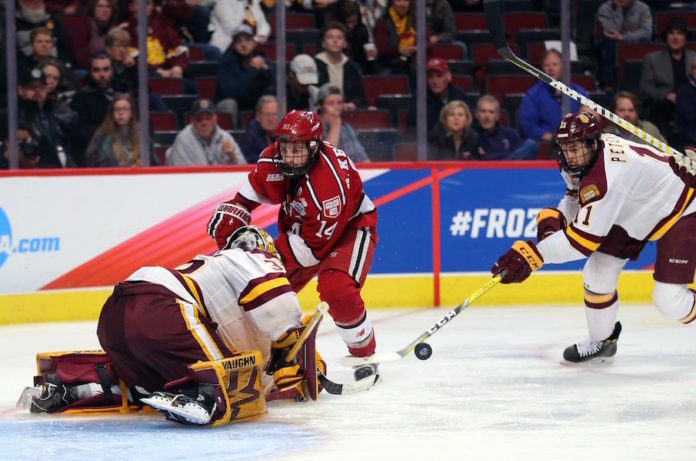 Toninato played a large role for Minnesota-Duluth in 2016-17 as the Bulldogs won the NCHC tournament and advanced to the NCAA Frozen Four, where they were ultimately defeated in the championship by former Avs prospect Will Butcher and the Denver Pioneers. During his time with Harvard University, Kerfoot was a lightning rod for the team, accumulating 123 points in 121 games played. With the combination of Kerfoot and Jimmy Vesey, Harvard University was able to make it into the Frozen Four before falling to Toninato and the Minnesota-Duluth Bulldogs. 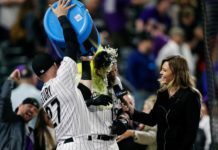 The Avalanche will have some choices to make with these two centers during training camp as both bring some valuable abilities to the organization. 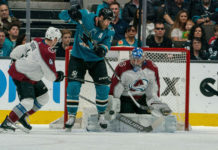 Toninato brings a power forward style of play to the Avalanche, one that will continue to help the Avalanche remain big up front, but is a style of play the Avalanche are trying to get away from. The good thing about Toninato is that although he has a large frame, he is still able to contribute points. Kerfoot brings a style to the Avalanche that they have been missing for the past couple of seasons, and that is of a playmaker for the bottom six forward lines. He also has the ability to not overthink plays, as he will take the simple shot on goal whenever the opportunity presents itself. Fans will get their first look at Toninato and Kerfoot on Sept. 8, 2017. The Avalanche rookies will be holding a practice at the Family Sports Center before they head to San Jose for the NHL Rookie Showcase, which is set to begin on Sept. 9 and run until Sept. 12. The tournament will consist of rookies from the Avalanche, San Jose Sharks, Arizona Coyotes, and Anaheim Ducks. All games will be played at the Solar 4 America Ice Center. 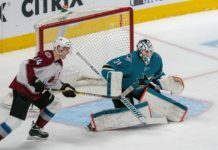 The rookie tournament games will be streamed through the Sharks’ and the Coyotes’ websites, so Avalanche fans will be able to catch all of the action on Saturday, Sept. 9 and Monday, Sept 11.